Unreal, this place must be unreal. 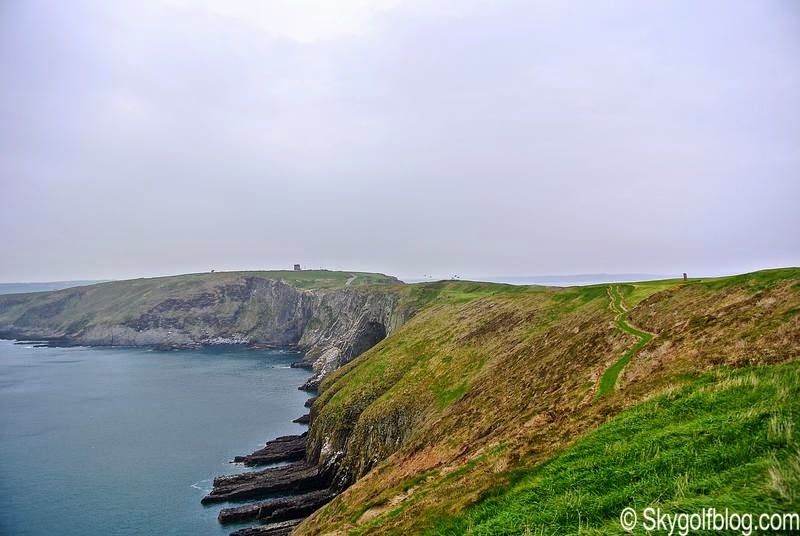 This was my first though passing Old Head Golf Links gates and getting closer and closer to the 1853 lighthouse. 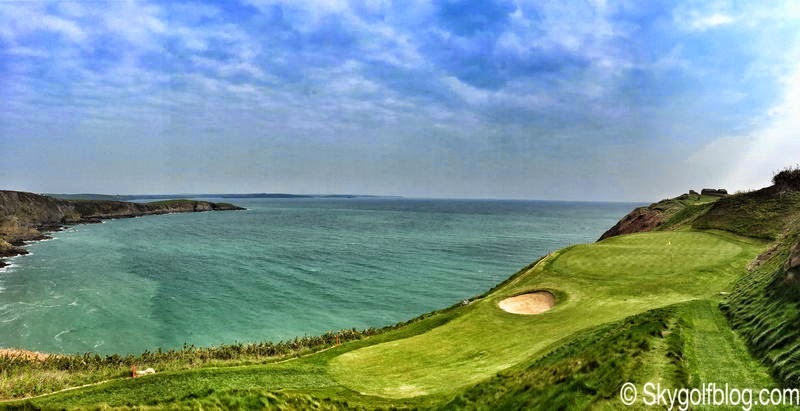 The Old Head is a remarkably dramatic piece of Ireland, a peninsula protruding over two miles into the Atlantic Ocean and home since 1997 to one of the most stratospheric and unique golf course in the world. 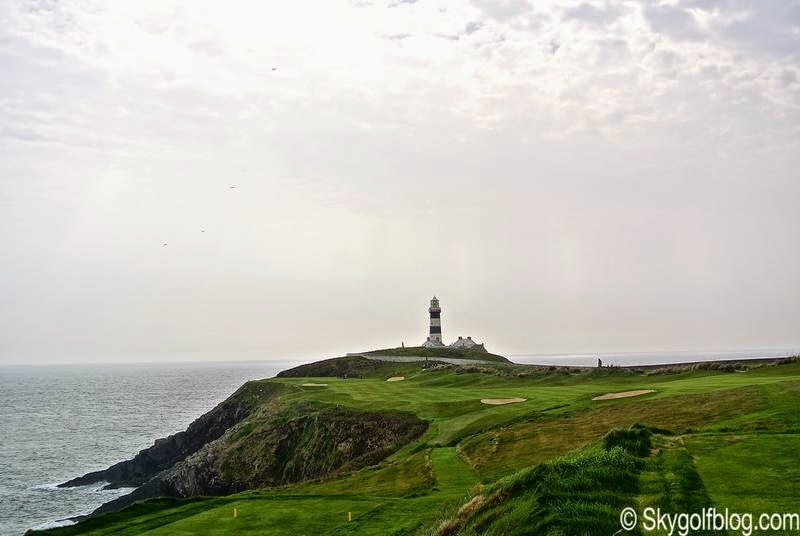 Old Head served as farmland until in the late 1980s two wealthy Irish brothers, John and Patrick O'Connor, bought the land for less than $2,000 an acre to realize their dream: the most spectacular golf course in the world. 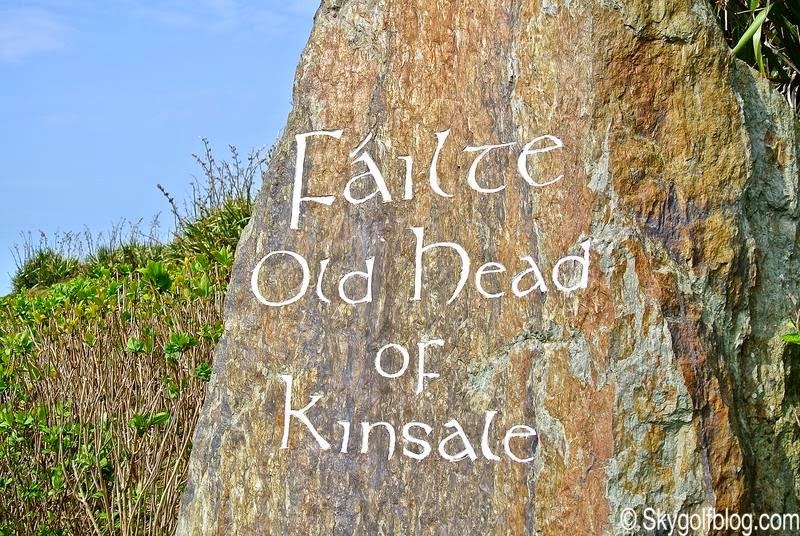 To do so in 1993 they enlisted Ron Kirby, a veteran golf architect who worked for Robert Trent Jones Sr., Gary Player and Jack Nicklaus, assisted by a quartet of Irish legends and by one Aussie: The late Eddie Hackett, one of Ireland's premier golf course architects, the pro Liam Higgins of Waterville, Paddy Merrigan, an Australian architect and agronomist, The Late Joe Carr, Ireland's most successful amateur golfer and by Haulie O'Shea, a contractor and golf course builder. 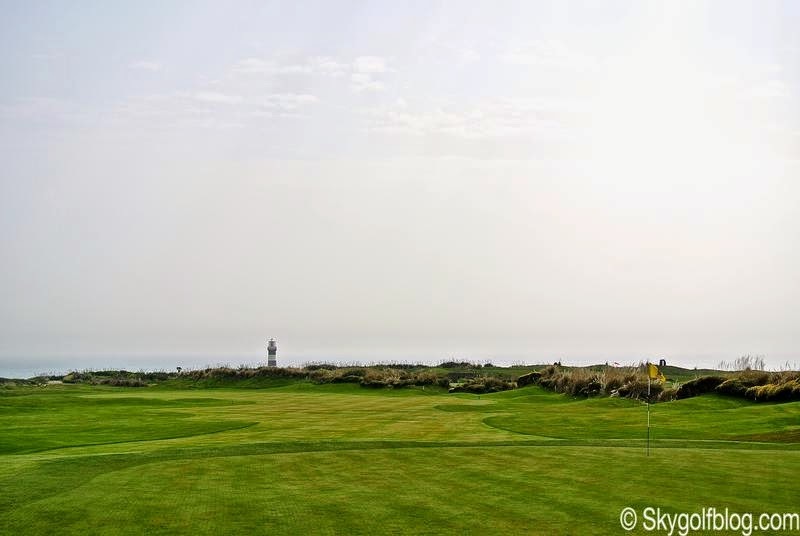 The course opened for play in 1997 and the result of the combination of ideas of the five creators is simply incredible. The course plays 7069 yds from the back tees, for a par 72 that features five par 3s and five par 5s. 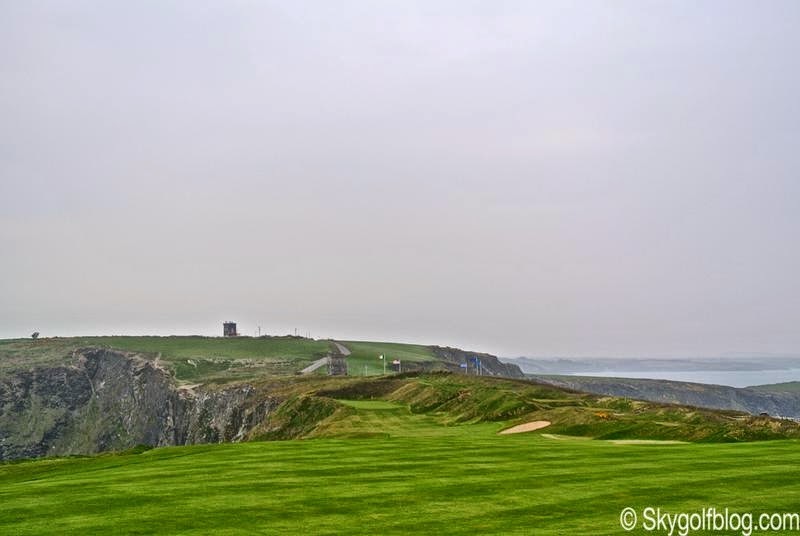 Nine of the holes play along the tops of the cliffs, which rise more than 300 feet above the water in some places. A wild course that faces wild elements. 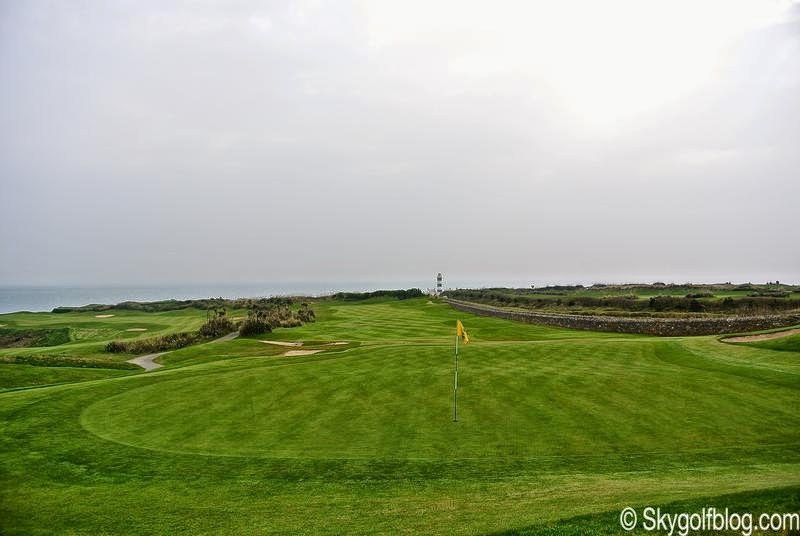 Strong wind are common here in the middle of the Atlantic Ocean, and keeping the ball in play is a challenge. Some of the shots required are weird or merely impossible, but once you reach the putting surface hitting a 7 irons after aiming 30 yards left of the green in the middle of the Ocean and you see your ball flying back right pushed by the wind and land just a few feet from the pin, the emotions of the reward are indescribable. 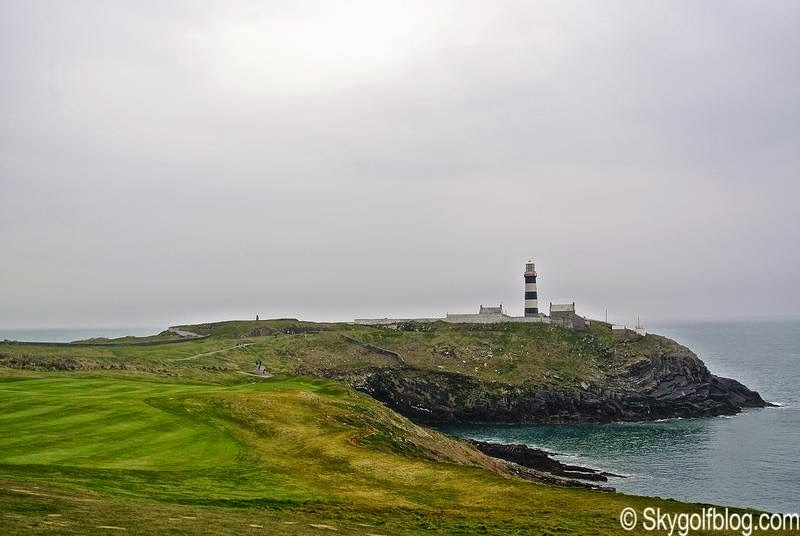 Although named Golf Links, and set high above on a peninsula, Old Head’s isn’t a true links. 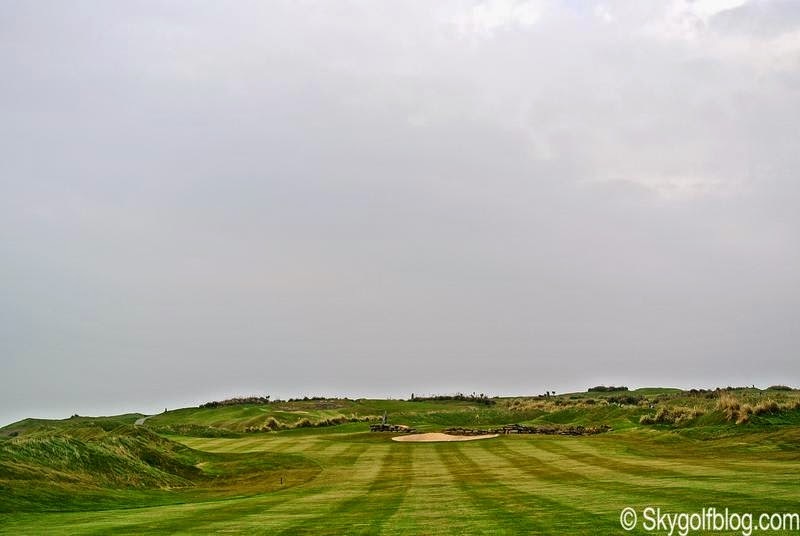 It's not built on sand and the rocky playing surface is tougher to walk than good linksland and doesn’t promote a hard, fast, low-running kind of game. The fairways (those you can see from the tee boxes) are generally wide and generous and on every hole standing stones are used as markers. I would recommend getting a caddie, mainly on windy conditions and for the first time visitors...and tip them well!! The course begins with a relatively easy opening hole a446-yard par 4, before quickly moving along the cliffs to the 2nd hole. 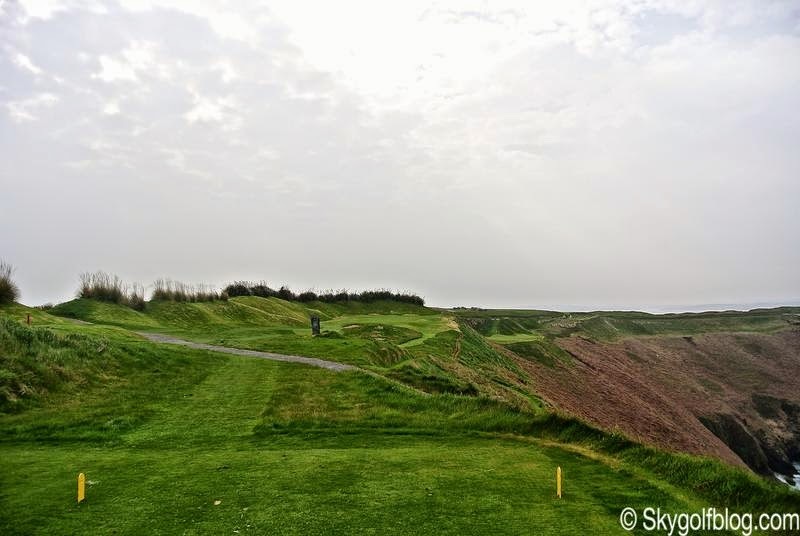 A 402-yard dogleg left from an elevated tee box to a cliffside green. 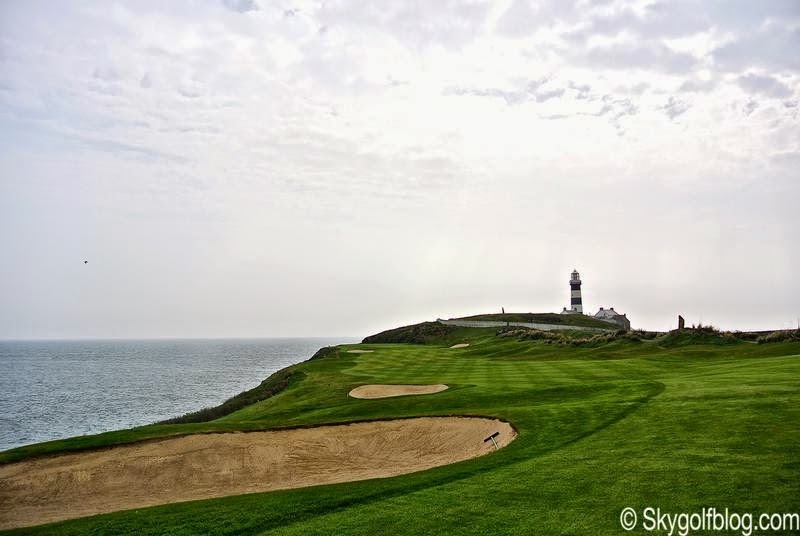 An excellent seaside par-3 3rd is followed by the 4th, another medium-length dogleg left that heads straight for the lighthouse with anything pulled or hooked plunging 300 feet down into the Atlantic. A series of various length par 4's and reachable par 5's follow until the outstanding 9th, a slight dogleg left up hill 465-yard par 4. 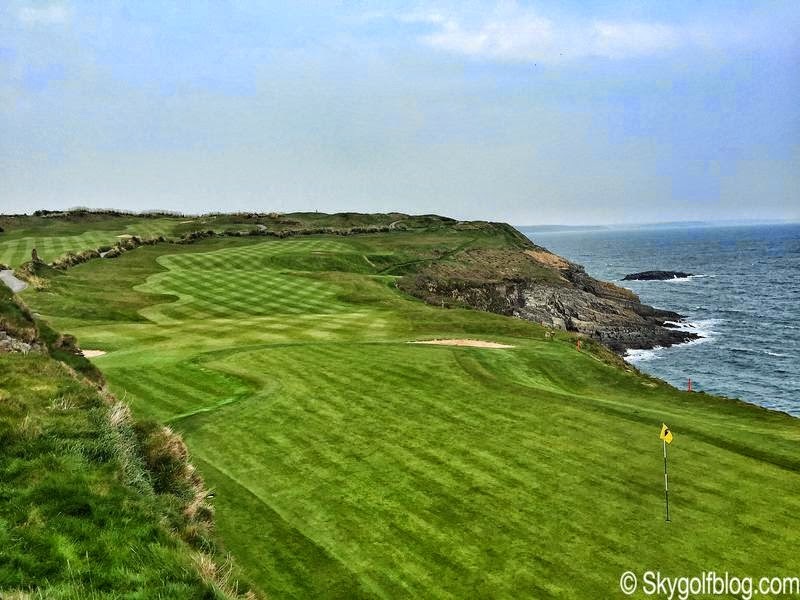 As good as the front side is, the back 9 is arguably even stronger and more spectacular. 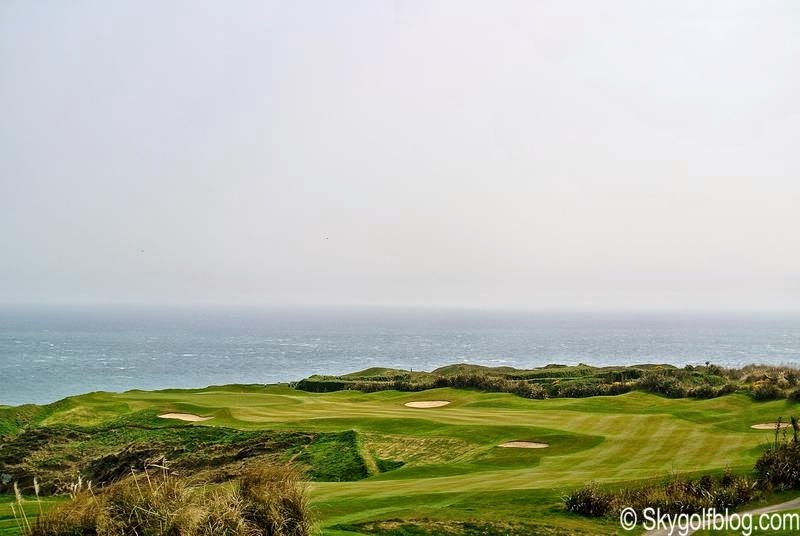 The 10th is a dogleg right par 5 followed by a narrow 207-yard par 3 with the ocean to the right, a large bunker in front and mounds of fescue to the left. 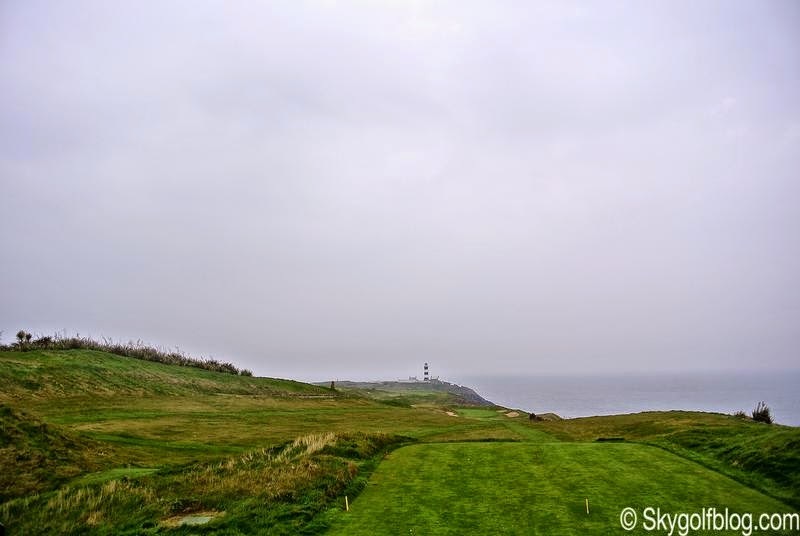 Then, one of the most memorable, dramatic and spectacular holes in golf, the 564-yard dogleg left 12th, Old Head's signature hole. A large rock visible from a cliffside tee box is the aiming point for the blind tee shot that must carry a portion of the curving cliff to reach the landing area. 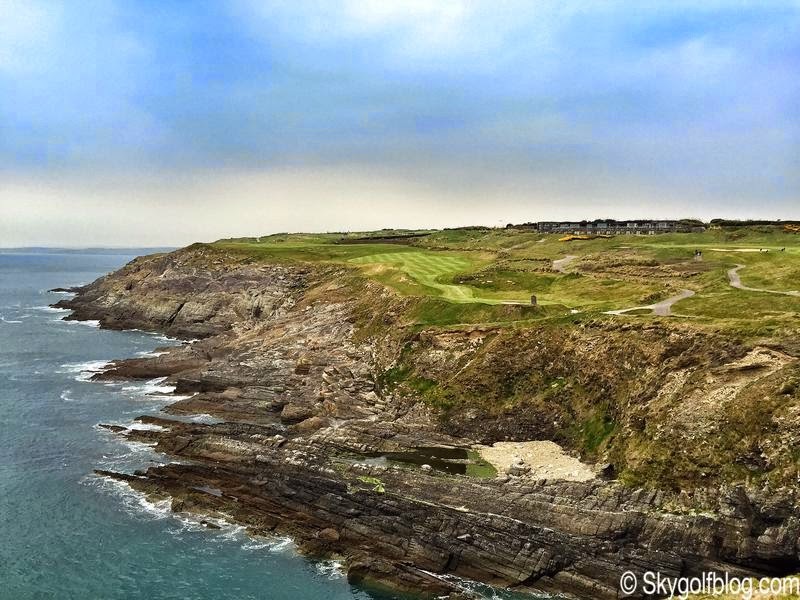 When the wind is in your face, this is the toughest tee shot at Old Head. Anything hit short or left will rattle off the cliff side and end up in the foaming, churning sea a hundred feet below. 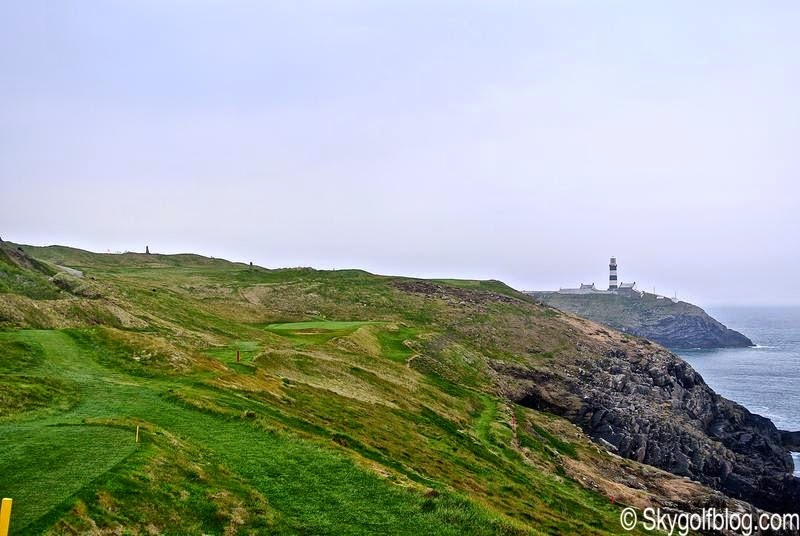 The fairway slopes dramatically downhill along the cliff to a long and narrow green tucked back into the hillside. A par here is always a good score. The cliff-side 15th and 16th holes are also an adrenalin rush though both are upstaged by the awesome raw drama of the monstrous and stunning par five 17th, a 623 yarder hole which is initially blind across a crest but then dives down along the cliff edge with its fairway becoming narrower and narrower before reaching the green. 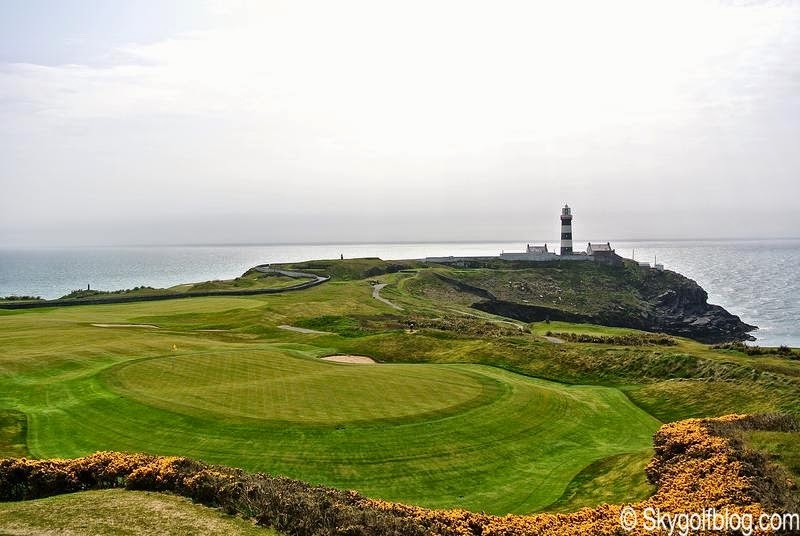 From here you climb nearly one hundred steps to reach an 18th tee box placed beneath the famous Old Head lighthouse and enjoying wonderful views down the incredible Irish coastline before challenging the last fatigue of this epic adventure, a demanding 434 yds par 4. 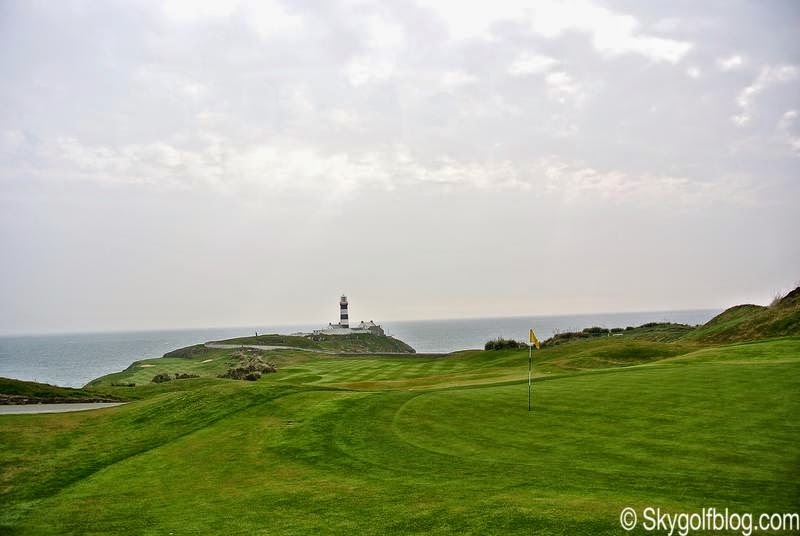 This is Old Head Golf Links, one of the greatest and wild golf experiences you may have on one of the most amazing places on earth.